When it comes to accessing affordable credit, low-income populations are targeted by wealth stripping predatory loans that come in many forms. On the consumer lending side, payday loans are the most commonly known predatory loan, as they have garnered attention by advocacy groups, the Consumer Financial Protection Bureau, and many community development financial institutions (CDFIs), which seek to provide viable and affordable alternatives. For nonprofits working on economic self-sufficiency and asset building, it is important to know about alternatives to payday and predatory lenders, which is an emerging trend as communities come together to combat these unscrupulous business practices. 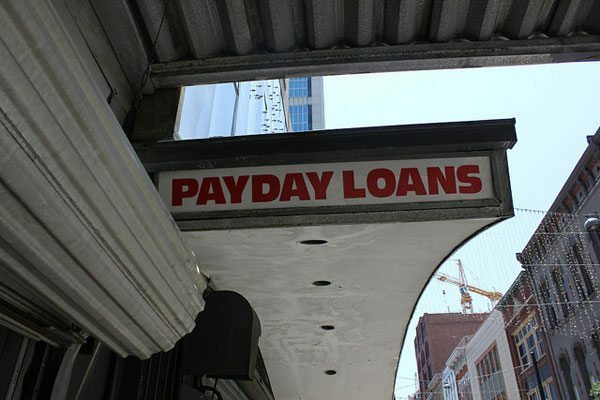 As NPQ has written about previously, payday lending traps people into debt cycles, whereby they borrow high interest rate (300 to 500 percent), short-term loans that they are unable to pay due to the excessive interest and fees. Unable to pay these loans, the overwhelming majority of payday loan borrowers are forced to take out another loan to cover basic living expenses, expanding the debt trap. According to the latest factsheet by the Center For Responsible Lending, over four out of every five payday loans are taken out within the same month of the borrower’s prior loan. In other words, the impetus behind making unaffordable loans is to create demand for additional loans based on deceitful lending practices. As the market for payday lending has grown to $40 billion, the profits from these businesses are directly stripped from low-income consumers with few alternatives. While some legislative efforts have reduced the growth of this market, there are still 12 million US households that use payday loans annually, spending an average of $520 on fees to borrow $375, according to a report from the Pew Charitable Trusts in 2017. Increasingly, credit unions are providing affordable small-dollar loans in economically distressed areas that typically have high concentrations of payday lenders. In St. Louis, for example, St. Louis Community Credit Union, a CDFI, provides low interest short term loans, called payday alternative loans (PAL), in addition to support services geared towards improving financial literacy, and thereby reducing the overall reliance on payday loans. Within St. Louis, the need for payday lending alternatives is high, as the percentage of poor residents living in a concentrated area of poverty, or census tracts with more than 40 percent poverty rates, increased to 45,000 residents in 2016. Many times, low-income areas face a dramatic lack of financial options. In St. Louis, the lack of options is coupled with a total of 14 percent of the population living in concentrated poverty, which is the second-highest rate of concentrated poverty in an urban area in the United States. What’s more is that over a quarter (27.4 percent) of poor black residents in the region live in high poverty areas compared to 2.3 percent of poor white residents, making the lack of financial options and high cost of predatory loans in these areas an equity issue as well. The need for alternatives to payday loans is dramatic in several markets due to the high number of mainstream financial institution branch closures dating back to the recession. In research published by the Federal Reserve Bank of St. Louis, there are over 1,100 banking deserts throughout the United States, meaning that these areas do not have a single branch of a bank or credit union. These areas attract payday lenders, as well as check cashing services and other high cost financial services, filling a void and at the same time profiting from the lack of economic and financial investment. As of the end of 2016, there were 3.74 million people in the US who reside in a banking desert, and the possibility of that number growing is of concern. The same report found that there are an additional 1,055 potential banking deserts, which account for an additional 3.9 million people. Increasingly, credit unions are stepping in to fill the void of accessible and affordable consumer lending products in low income and marginalized communities. Given that these communities are targeted by predatory lenders, filling the gap is a critical and essential piece financial planning and economic development. In addition to credit unions, innovative nonprofit programs are addressing the need for more affordable credit, often through partnerships. In Columbus, Ohio, for example, Licking County St. Vincent de Paul Microloan Program makes small, low-interest loans through a partnership between The Society of St. Vincent de Paul Diocese of Columbus and Chivaho Credit Union. Similar programs are springing up in other markets, including the Credit Up Program from Sound Outreach, a nonprofit organization located in Tacoma, WA that aims to pair financial education with credit-building loan products. This program is offered in partnership with Harborstone Credit Union. The US Postal Service has over 30,000 locations. A Senate bill would require the Post Office to offer low-cost loan products to customers, giving people without bank accounts a highly accessible, low-cost alternative to high-interest payday lenders.